The intention of this article is to show you how to view the jobs that you have assigned, know what you need to do and how to mark them as completed. Everything from your mobile phone. 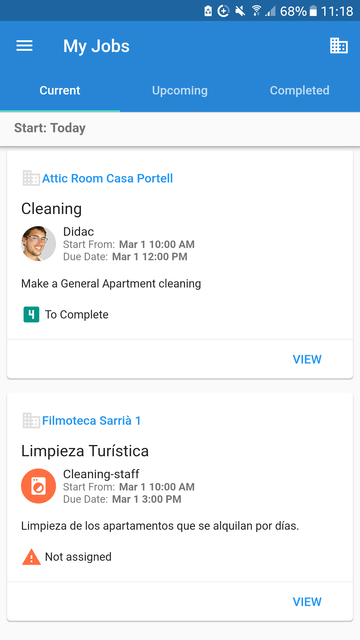 So provably, this guide will be helping more to cleaning staff or check-in agents. However, anybody within a Rental Ninja team can be assigned to complete a job. So this might be also helpful for Rental Managers. To complete a job, just click on "View". There you will see everything you need to do. In order to Complete the job, you need to complete each of the Tasks in there (if any). You will find there two types of tasks: some may require a picture to be completed and some others don't. 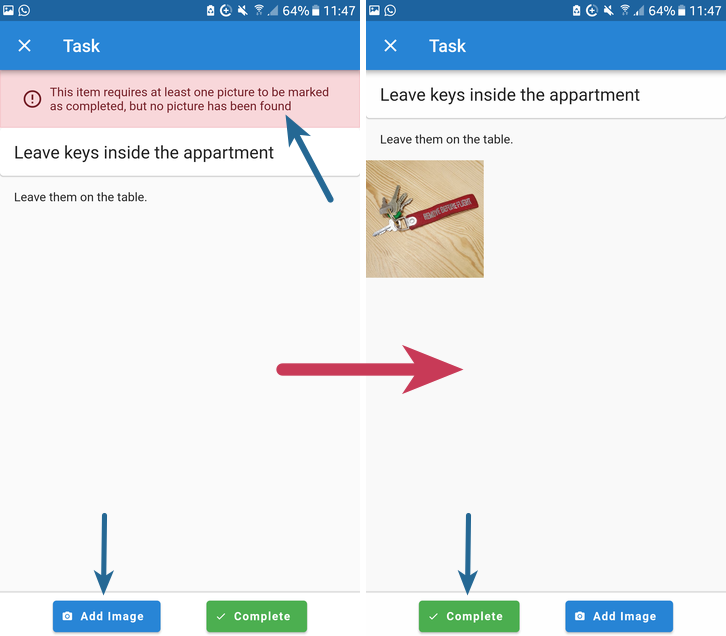 If the task requires a picture in order to be completed, you will see a camera icon. 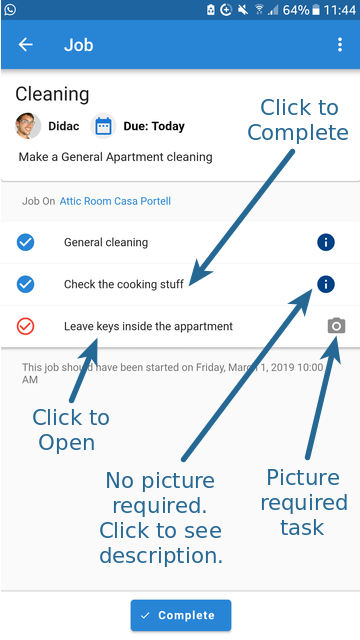 Click on the row of the task and a new view will open up. 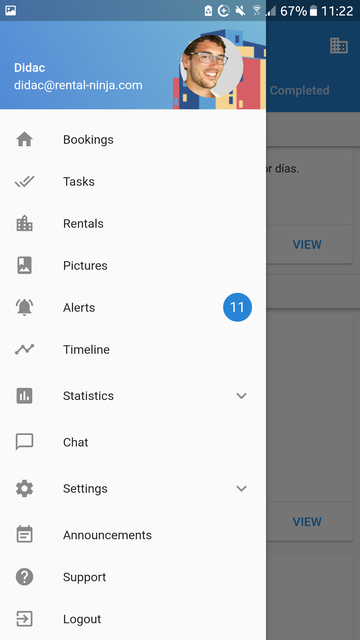 From there, you will be able to see the description of that task, upload pictures and, once done, mark it as completed. 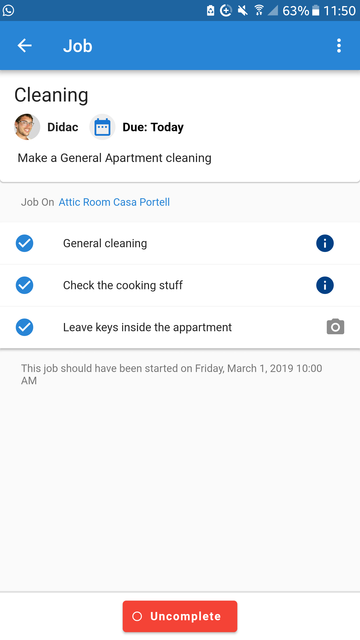 Once you complete the job, this will be shown in the Timeline and, if the job has somebody assigned to inspect it, the inspector will receive a notification. If he/she rejects the job, you will be notified and the job will appear once again in your Current jobs list.